There’s a common thread running through the 150 year history of the Royal Society Te Apārangi. That is the Society’s ability to reinvent itself, says historian John Martin, who wrote the book Illuminating our World: 150 Years of the Royal Society Te Apārangi launched in Wellington last night. The Society’s latest reconception, in some ways, takes the organisation back to its roots – of encompassing not just science, but all forms of knowledge. John Martin tells us more. Is there a common theme running through Illuminating Our World? What I’m hoping comes through in the book is the very interesting evolution of an organisation that, in order to survive and prosper, has had to reinvent itself multiple times. When it began as the New Zealand Institute the government was a very different beast from in the 20th century. The government didn’t have sets of policies for different sectoral areas. Instead, it was focused on trying to take advantage of and exploit the natural resources and the farming economy for the benefit of New Zealand. So policy was seen in quite a pragmatic way and James Hector, the manager of the New Zealand Institute, was employed to do a huge range of things – from geology to coal mines to reports on the condition of parliament buildings themselves just in case they started to fall down. He was also the Chancellor of the University of New Zealand for quite a long time and he used to accompany the Governor on trips on the government steamship around New Zealand. Hector had his finger in all sorts of pies. One could say that New Zealand Institute was part of that, but was only a part. Then when Hector came to retire and lost his power base at the end of the 19th century, it put the New Zealand Institute in quite a difficult situation – it had relied on Hector. Now it had to start from scratch again. How did the Society do that? The New Zealand Institute began to try to gain influence after World War One when the government began to reorganise government related science. That gave rise to the DSIR. But in the process of that the New Zealand Institute didn’t act cleverly, in a political sense, and marginalised itself. Instead Ernest Marsden, the first director general of the DSIR, seized the momentum in the development of science. The DSIR became the government organisation that dispensed money to the New Zealand Institute. It wasn’t very much money either. The amount that had been set originally in 1867 – 500 pounds – had been somewhat increased in the early decades of the 20th century but was cut back again during the depression years and went back to 500 pounds. That wasn’t really a lot to play with. Well it took quite a long time. It was really after the Second World War when the needs for scientific output were growing considerably; New Zealand was developing a greater industrial base, international contacts were becoming more important for science, and the role of science education in schools was growing. The Royal Society of New Zealand – the name had been changed in 1933 – began to pick up opportunities and participate in international linkages. It became involved in initiatives like the international Geophysical Year of 1957-8, which really put New Zealand on the map. Into the 1950s and the 1960s the Society began to get the ear of government as an adviser. It’s around that point that Charles Fleming started his book chronicling the first hundred years of the Royal Society of New Zealand? Yes. It’s interesting comparing Charles Fleming’s book with mine, because he’s not a historian and that does show – he’s not willing to put an overt interpretation upon the facts. One of the most revealing things was how extremely modest he was, unless he didn’t realise what an important role that he himself played. There was a critical reorganisation in the 1960s, but in Fleming’s book things go very quiet when you get to the crucial point. Fleming started writing it from the late 1960s, but he had another twenty years before it was published. By this time the changes were well established, so he could have reflected back on that period. By the late 1980s the Society was in terrible trouble. There was a review in 1991 during which its existence was pretty precarious. The Society’s funding was dependent on the DSIR and that was abolished. In addition to financial difficulties there was quite substantial tension over the elite nature of the academy, and there were various other disciplines including social sciences and technology which some people thought should have a role, as well as other issues. There were a number of points of view from which the Royal Society was being assailed. It’s a really important part of its history, the story of how the Society managed to clamber out of that abyss. The CEO at the time, Ross Moore, was a key figure in retrieving the Royal Society by actively seeking opportunities, such as taking on the scientific journals, picking up the Marsden Fund and Teacher Fellowships, even if, for example, it meant running the journals at a loss in the short term. All these things turned the place around and began a new phase of development where the future for the Society seemed a lot more rosy. Now I think the Society is undergoing another reevaluation of its identity, which has become more evident even since the book was put into print. This is really embracing the idea of inclusion. In the last few years the Royal Society has gone back to its core business a lot more, but that’s been redefined because the humanities have been brought into the fold. The intent isn’t for the Royal Society to be portrayed as a science organisation any more – the government has given the Royal Society the responsibility to work out a public engagement methodology that would be used for not just science, but other forms of knowledge as well. Does this take you right back to Hector in a way, with the Society going beyond just science? In a funny way it does go back to the original intent of the 1867 legislation, because if you look at that you’ll see that it’s not just science – it’s the arts, philosophy. And in the early years there were anthropological articles, ethnological articles, and articles on the arts sprinkled through the Transactions. However it’s also got to be said that in the 21st century the context of how knowledge is undertaken has changed dramatically. In the mid 19th century what you’re talking about are particular individuals who were botanists, musicians, artists, politicians. They were the polymaths of the day: the intellectual, educated, and erudite people of that period. They could turn their hands to all sorts of things, so the Society was a reflection of that. Now, 150 years later under the rubric of the Royal Society we are talking about a huge range of groups that represent the interests of different disciplines and different forms of knowledge. It’s not that these forms of knowledge are combined within the head of particular individuals, it’s that the forms of knowledge are combined through the mediation of the Royal Society bringing wide ranging groups together. It’s an organisational thing. But one could say that the spirit is similar and that the Society is now, again, intended to represent the interests of knowledge in a variety of forms. 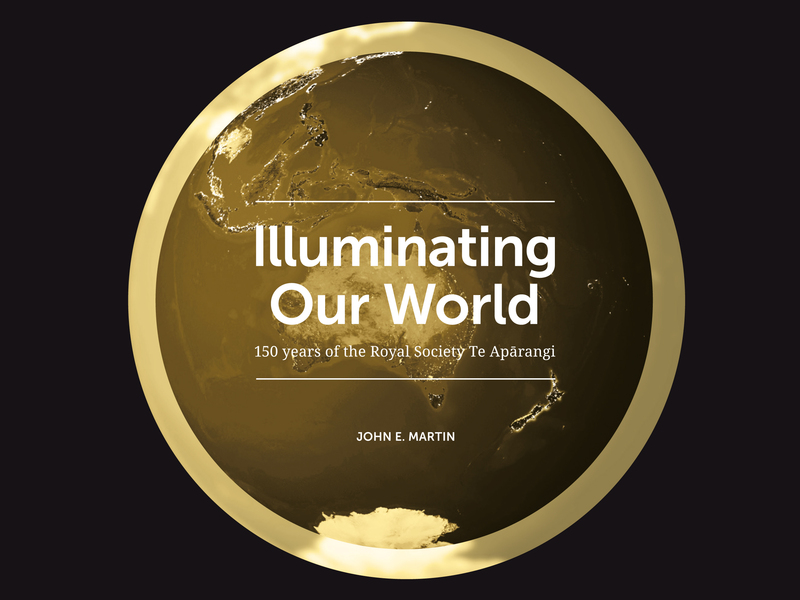 John Martin’s history ‘Illuminating Our World‘ is available to purchase online.